Warren, ME - Robert B. Bowman, 65, of Warren, ME moved onto a higher life on Sunday, August 5, 2018 at Maine Medical Center in Portland. Bob was born January 14, 1953 in Lynn, MA to Mary C. (Whitten) Bowman and Albert W. Bowman of Lynn, MA. He attended Classical High School in Lynn, MA and studied at North Shore Community College also in Lynn. Bob was very well liked and easily made friends wherever he went. He had a gift of making people laugh and putting them at ease. These characteristics lead him to many opportunities in retail throughout his career. He was affectionately known as "Buffy" to his friends at Walmart Thomaston. Bob proudly served his country as a U.S. Marine appointed as Corporal in rank in 1974 and Sergeant in rank in 1975. 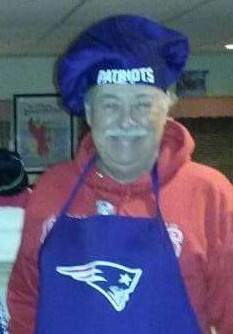 He was a passionately loyal Patriots and Red Sox fan. He enjoyed watching Mountain Men, Life below Zero and anything Alaska. Robert is survived by Charles Bowman and Deborah, Kathleen Donahue and George, Kenneth Bowman and Stephanie, Glen Bowman, Annie Oakes and Tex and special companion Arlene Lindsay Matthews. Bob had two children Kerri Bowman and Brian Bowman and grandson Mason Bowman and many nieces and nephews. Bob was predeceased by sisters Diane Ricchi, Lynn Ashley and brother Albert Bowman, mother Mary Bowman and son Bobby Bowman. A Graveside service will be held on Friday, August 31, 2018 at 2 p. m. at the Maine Veterans’ Cemetery, 163 Mount Vernon Road, Augusta.